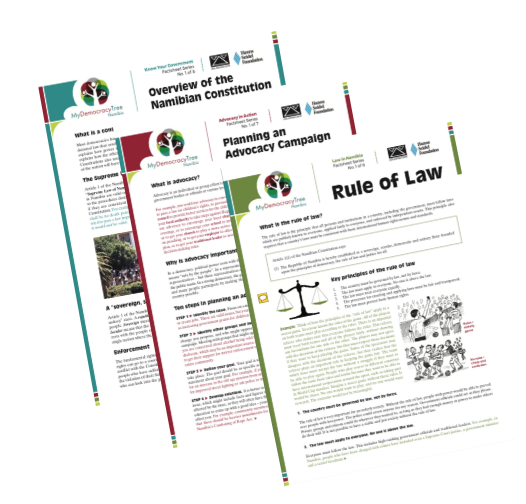 In order to further strengthen civil society in Namibia and support the interaction between government and civil society, the Namibia Institute for Democracy with support of the Hanns Seidel Foundation, compiled this guide to provide an overview of the mandate of NGOs and CSOs in Namibia, together with contact details and the sectors in which they are active. It is hoped that the guide will serve as reference tool to local and international development institutions and NGOs requiring information on the activities of civil society or looking for partners for specific programs in Namibia. The National Youth Council together with the Hanns Seidel Foundation, the European Union, Progress Namibia, AIESEC Namibia, the Internet Society Namibia Chapter and the Embassy of the Federal Republic of Germany hosted a Youth Conference under the theme: "Youth for Global Goals (Y4GG)"on the 17thof October in Ongwediva (UNAM Engineering Campus and a Business Breakfast Networking Event on the 18thof October in Ondangwa (Protea Hotel). The importance of the Youth in achieving the 2030 Agenda is undeniable, but currently, only about 45% of young people know what the SDGs are (source: Youth Speak insights 2016). The Youth 4 Global Goals (Y4GG) is an initiative that aims to activate the youth to contribute towards the achievement of the SDGs and this will happen in three stages: Awareness, Understanding and Action. 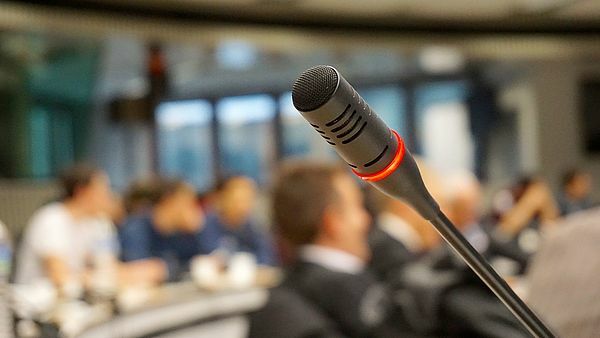 The conference aims to create an environment where people from diverse backgrounds, age groups and expertise can cross-pollinate ideas and gain new perspectives to create actionable outcomes in order to move forward. The Hanns Seidel Foundation (HSF) together with the Electoral Commission of Namibia, the Namibia Institute for Democracy (NID) and Namibia Media Holdings (NMH) partnered on a publication focusing on voters education. In every election, voter and civic education are necessary to ensure that all constituents—men and women alike—understand their rights, their political system, the contests they are being asked to decide, and how and where to vote. For an election to be successful and democratic, voters must understand their rights and responsibilities, and must be sufficiently knowledgeable and well informed to cast ballots that are legally valid and to participate meaningfully in the voting process. Voter and civic education are even more critical in post-conflict countries, where political situations may be volatile and where elections may have an unprecedented impact on the countries’ future. The publication aims to provide its readers with information on who is eligible to vote; where and how to register; how electors can check the voter lists to ensure they have been duly included; what type of elections are being held; where, when and how to vote; who the candidates are; and how to file complaints. The IPPR’s latest economic bulletin bemoans the fact that Namibia continues to drift down global competitiveness and ease of doing business rankings despite the fact that improvements have been factored into national development targets. Namibia’s economic prospects for the next year remain less than rosy – with growth forecasts being downsized. If current predictions hold, the economy will have soon been in recession for two years. One glimmer of hope is that tax revenues for 2018/19 remain on track due to boosts from the mining sector and the withholding tax on savings. Procurement Tracker is an initiative of the Institute for Public Policy Research (IPPR), with funding support from the Hanns Seidel Foundation (HSF), to monitor and track developments and issues within the Namibian public procurement sphere and publishes a quarterly review of such public procurement developments and issues. Issue 2 of Procurement Tracker Namibia looks at what has happened to the procurement plans that are supposed to be published by ministries, government offices and agencies, sub-national levels of government and public enterprises. 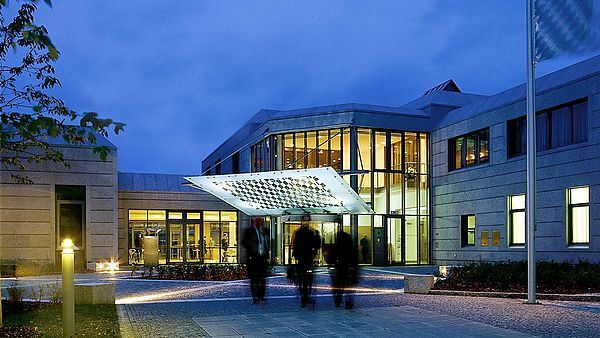 Despite legal requirements that these plans are made available, many have not yet appeared. Procurement Tracker is an initiative of the Institute for Public Policy Research (IPPR) with support from the Hanns Seidel Foundation (HSF). The regular bulletin aims to monitor and track developments and issues within the Namibian public procurement sphere. Transparency issues continue to undermine the credibility of Namibia’s procurement system according to the new Procurement Tracker Namibia bulletin. Procurement Tracker is an initiative of the Institute for Public Policy Research (IPPR) with support from the Hanns Seidel Foundation (HSF). The regular bulletin aims to monitor and track developments and issues within the Namibian public procurement sphere. 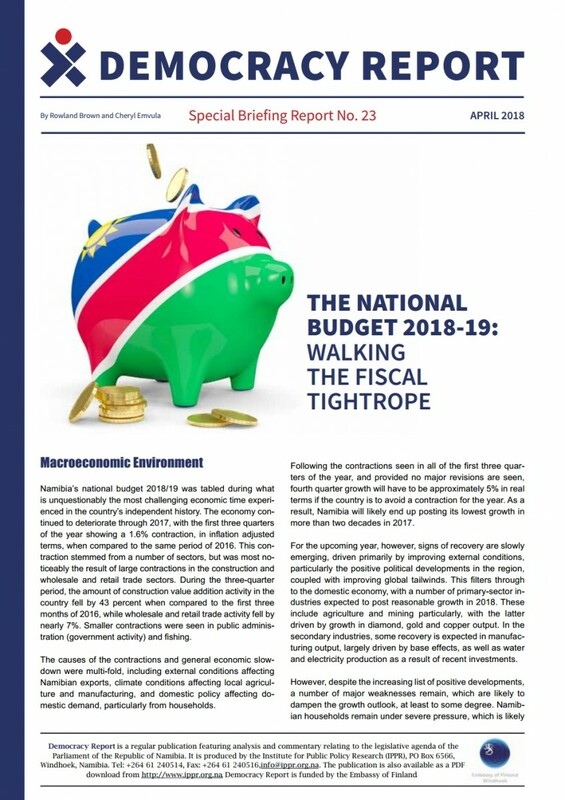 This new edition of the Economy Watch bulletin looks at growth forecasts for the world and the region, as well as the prospects of recovery for the Namibian economy. The bulletin also takes a closer look at oil and fuel price trends. The Namibian Constitution has been recognized as one of the most progressive of it’s time. Our leaders have committed themselves to taking the necessary economic, legal, social and political steps to transform Namibia into a democratic country, with respect to human rights and freedom and a thriving political system characterised by good governance. However, these goals cannot be left to our political leaders alone. It is for this reason that civic education programmes like the one run by the Hanns Seidel Foundation are vital, so that young Namibians, particularly those in secondary and tertiary institutions in order for them to effectively participate in the democratic process at local and national levels. 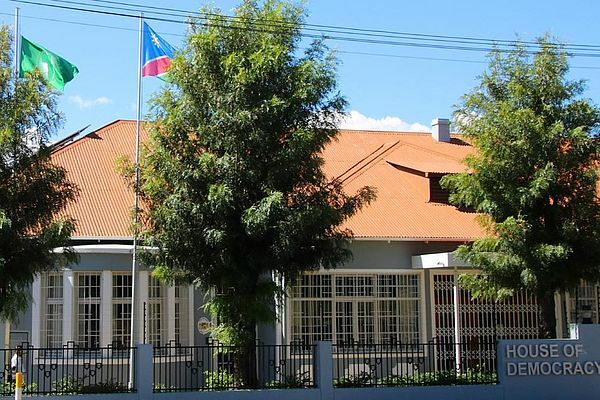 President Geingob has now been in office for three years – enough time to make a difference. 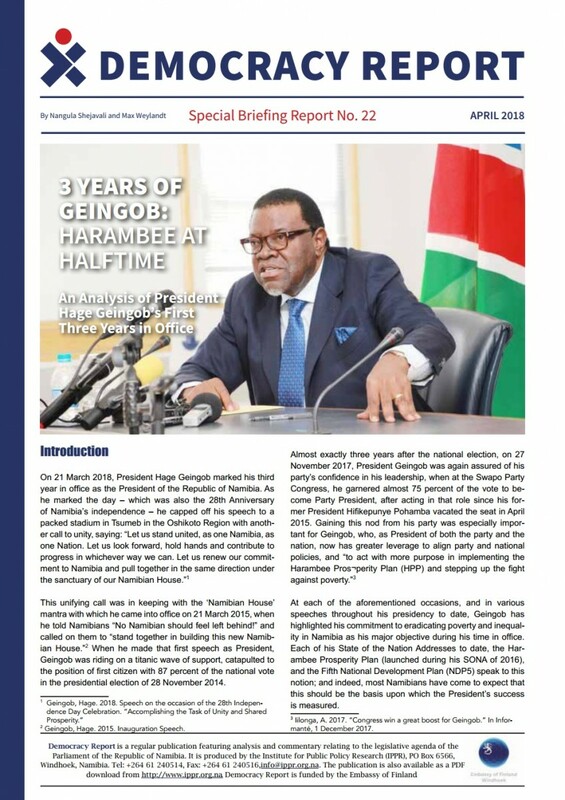 In this paper we provide an overview of his first three years in office, assess the progress toward his signature Harambee Prosperity Plan, and his performance on the promises he has made. Namibia’s national budget 2018/19 was tabled during what is unquestionably the most challenging economic time experienced in the country’s independent history. The economy continued to deteriorate through 2017, with the first three quarters of the year showing a 1.6% contraction, in inflation adjusted terms, when compared to the same period of 2016. This contraction stemmed from a number of sectors, but was most noticeably the result of large contractions in the construction and wholesale and retail trade sectors. This edition of Economy Watch looks at growth forecasts for the world and the region. The IMF’s quarterly update of its World Economic Outlook sets its growth forecast at 3.9%. Growth predictions for the EU and USA have been revised upward. A slight upward revision was also seen for Sub-Saharan Africa, with growth projected at 3.4%. The report also discusses the African Continental Free Trade Area Agreement, which was signed by 44 African states in late March (Namibia did not sign). The agreement seeks to increase trade among African countries by removing customs duties on most products. The lack of urban housing has become a key political issue of our age. Informal settlements are growing rapidly, and most Local Authorities seem to be struggling to keep up with the demand for housing from their rapidly growing populations. 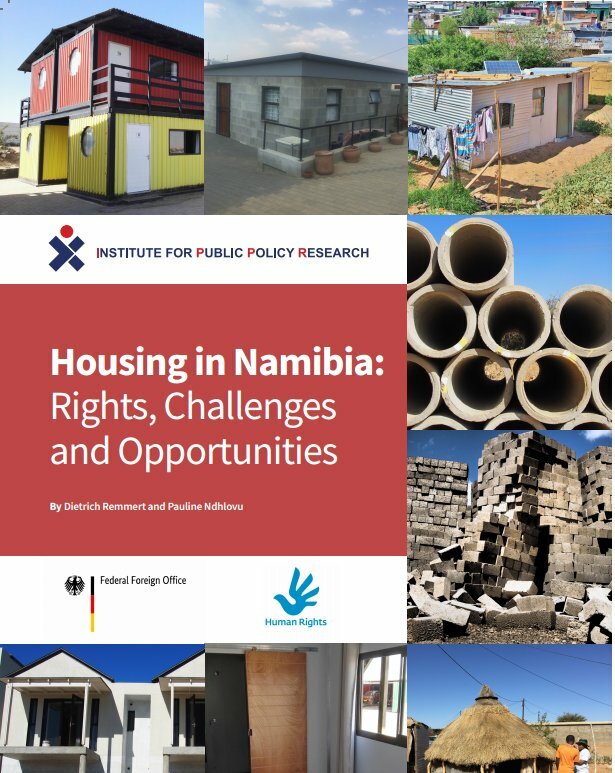 This report provides an overview of the housing situation in Namibia, and gives recommendations for the way forward. Through a desk review, interviews with experts, and a survey of inhabitants of informal settlements in three towns, the report identifies the key factors holding back housing in Namibia. 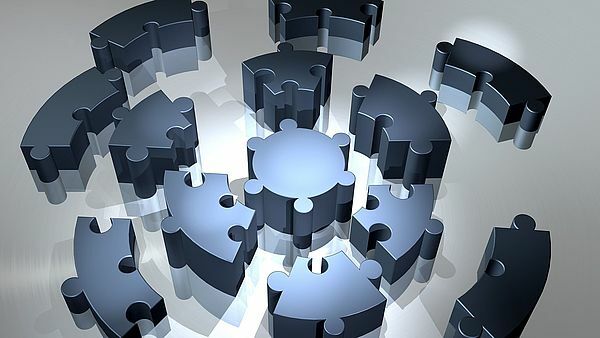 Namibia is hamstrung by an outdated, complex and rigid framework which leaves Local Authorities with few options to innovate in response to challenges. The survey found differences in attitudes across towns; policy should respond to these different needs rather than being uniformly rigid. Above all, the report argues that Namibia should commit to a new housing vision, which emphasises the provision of land rather than housing, and embraces progressive planning ideals. A special edition in Insight MAGAZINE dedicated to the 25th Independence Anniversary. The Hanns Seidel Foundation supported its publication. Topics revolve around Leadership, State of Democracy, Politics, Land, Corruption, Health, Tourism and Politics. In this commemorative publication, Celebrating 25 years of Democratic Elections, the focus is not only on the elections held in Namibia since 1989, but we also take an in-depth look at other democratic processes. Insightful analyses of essential elements of democracy are provided by analysts who are regarded as experts on Namibian politics. The Anti-Corruption Act serves to establish the Anti-Corruption Commission and provide for its functions; to provide for the prevention and punishment of corruption; and to make provision for matters connected therewith. This Booklet was published two weeks ahead of the 21st Conference of the Parties (COP) to the United Nations Framework Convention on Climate Change (UNFCCC). The booklet celebrates Namibia's progress to foster dynamic solutions to address climate change. The publication on Environmental Law and Policy in Namibia by O.C. Ruppel and K.G. Ruppel-Schlichting intends to put together a compilation of environmentally relevant documents such as laws, policies, international agreements and selected reports and publications contiuously updated. As with so much else in Namibia, climate change is all over policy documents but rarely features when it comes to government initiative implementation. Time has come for this to change, writes Dietrich Remmert in Insight Magazine.